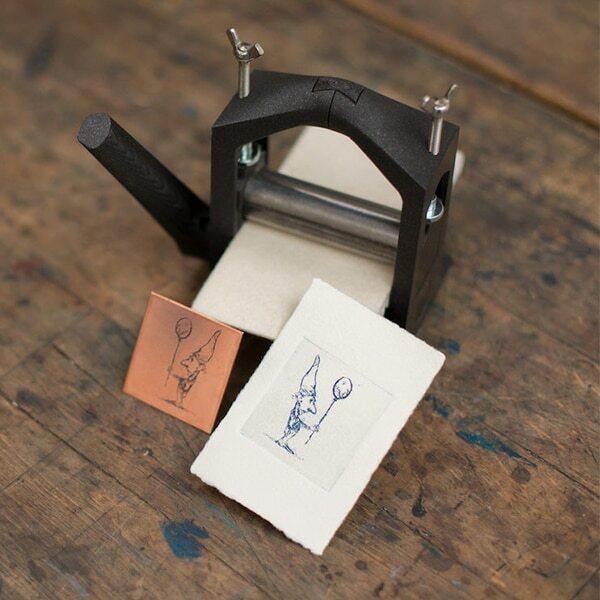 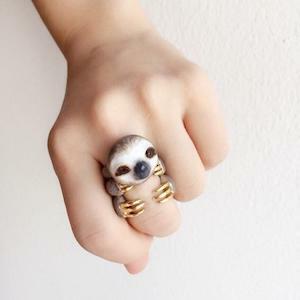 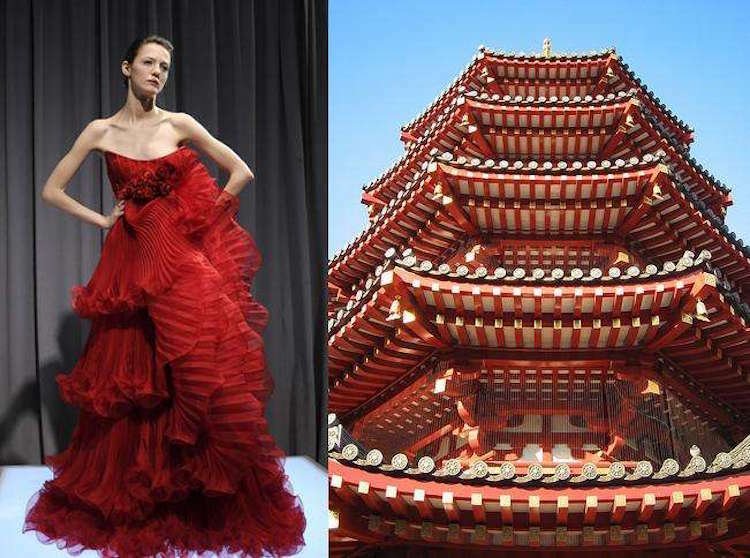 High fashion takes inspiration from all sources, from the natural world to fine art. 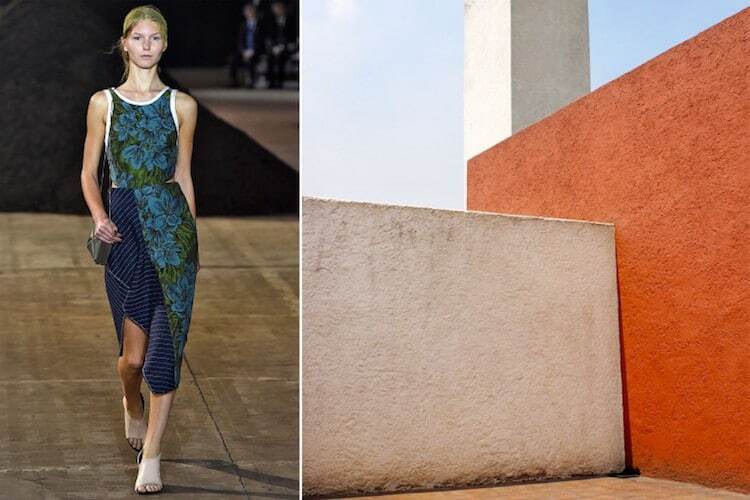 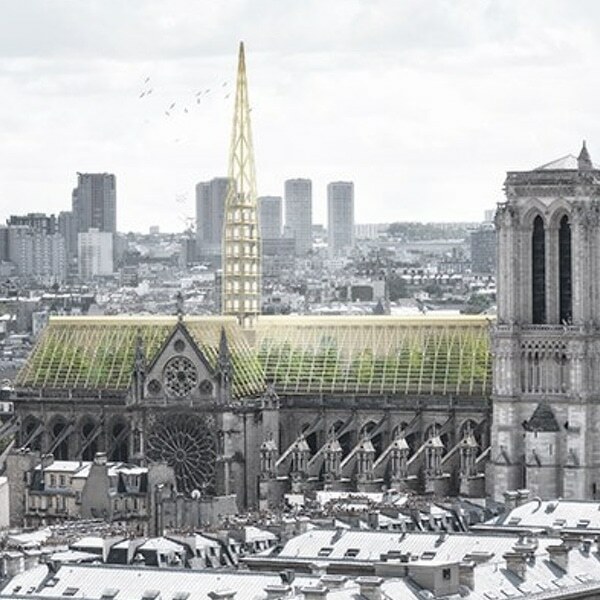 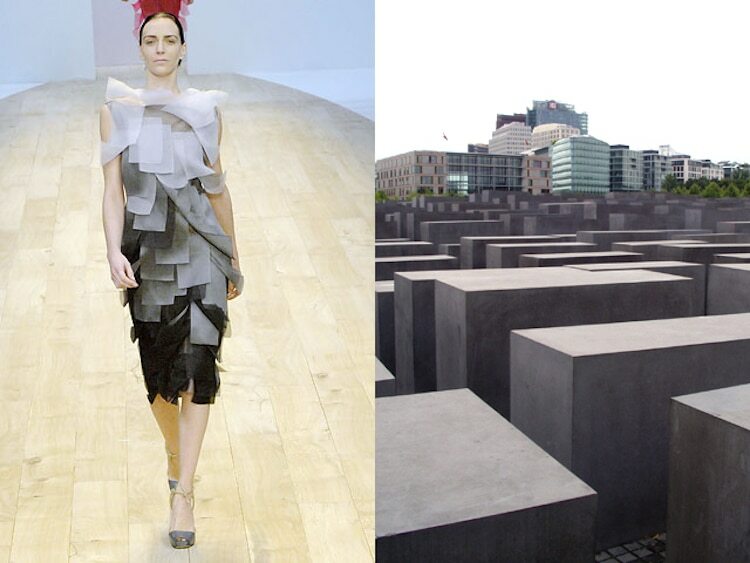 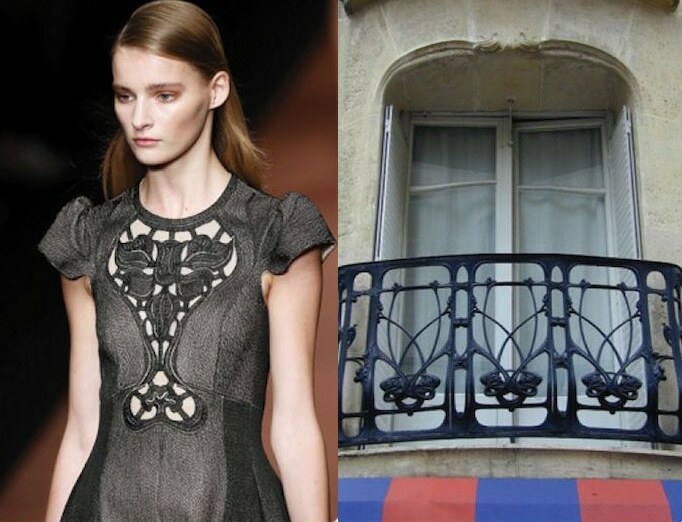 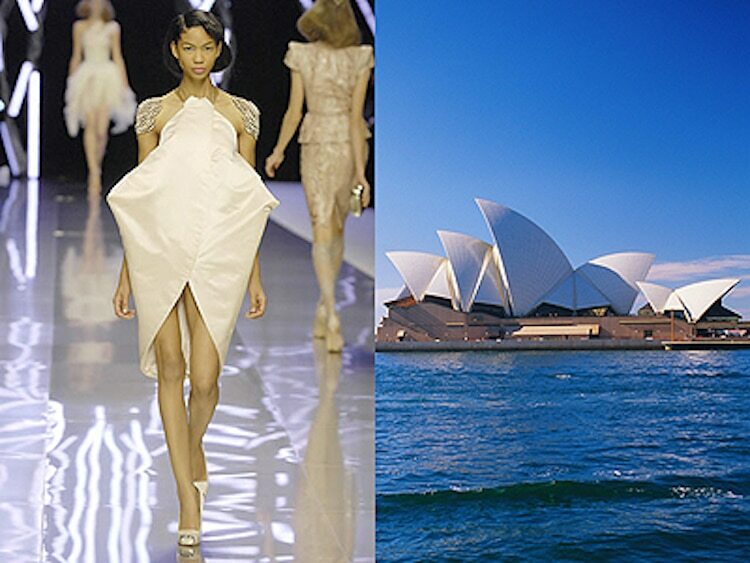 But perhaps there is no better synergy than that between fashion designers and architects. 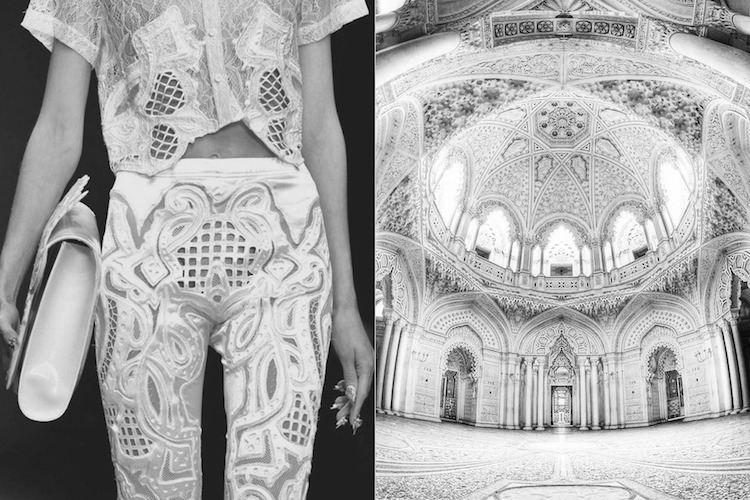 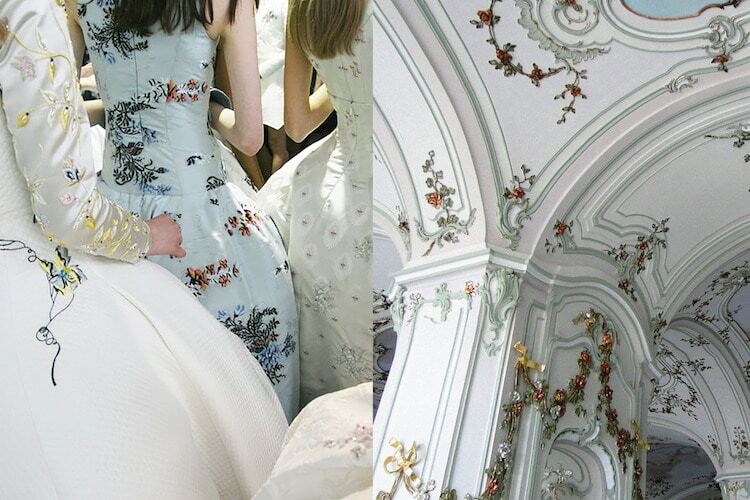 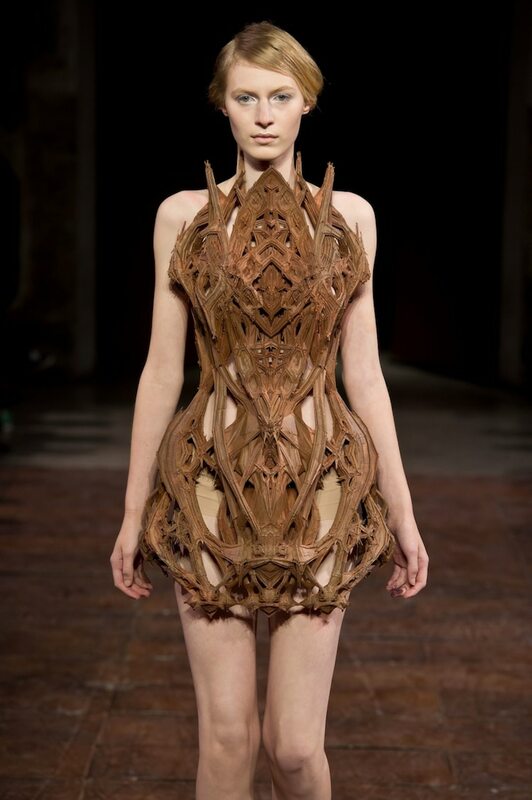 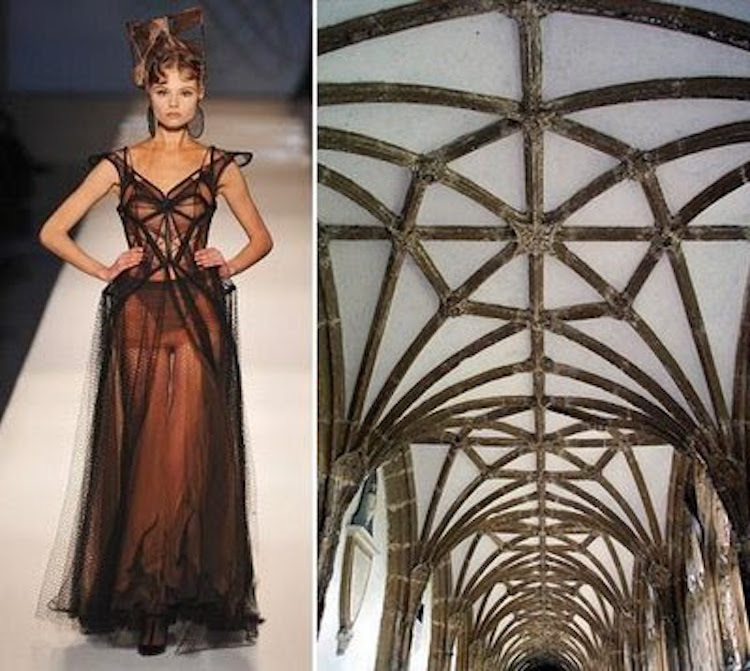 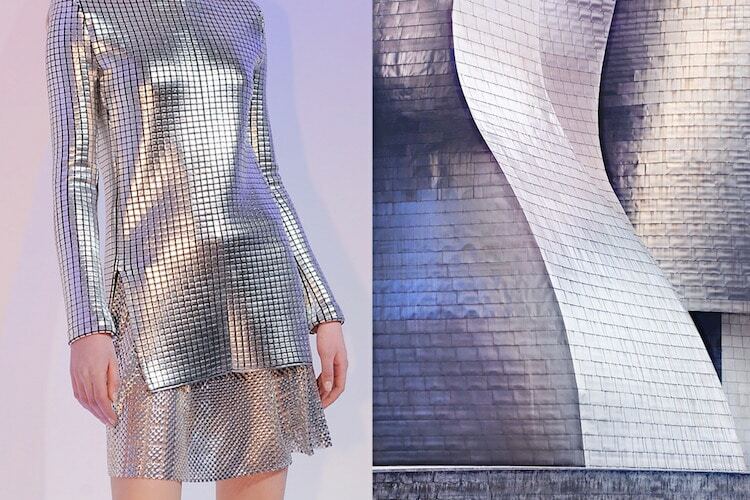 While architecture gives us the spaces we live and work in, high fashion is constructed to give us wearable art. 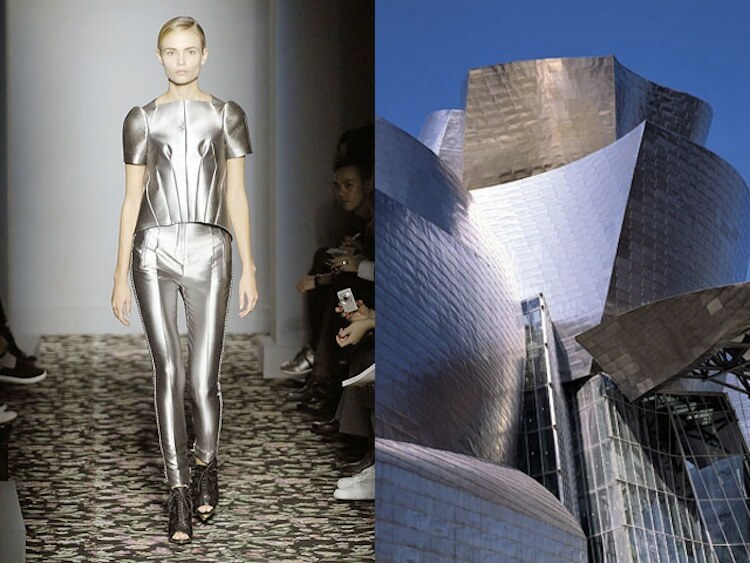 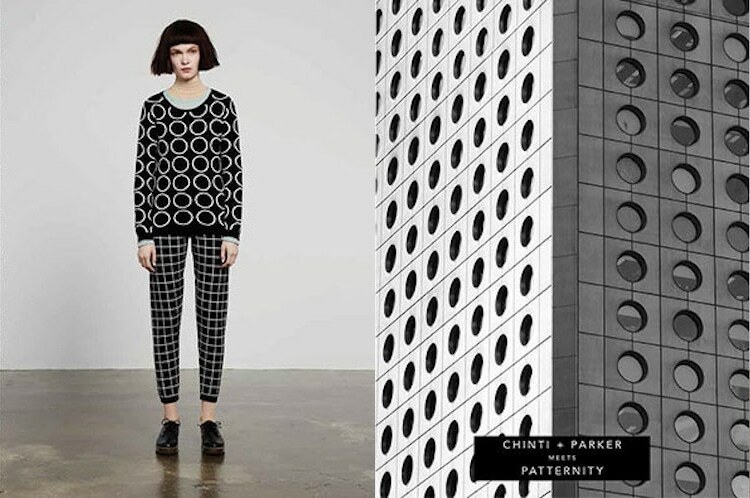 Hallmarks of fashion inspired by architecture include exaggerated proportions and swooping angles and particular attention to construction and shapes. 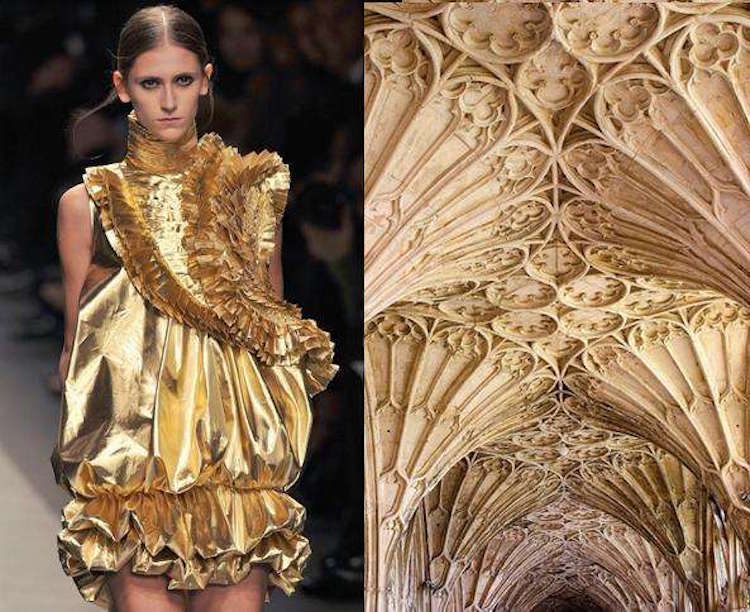 To create a three-dimensional, architectural look, fabrics are often manipulated through pleating, folding, and layering in order to build up the final effect. 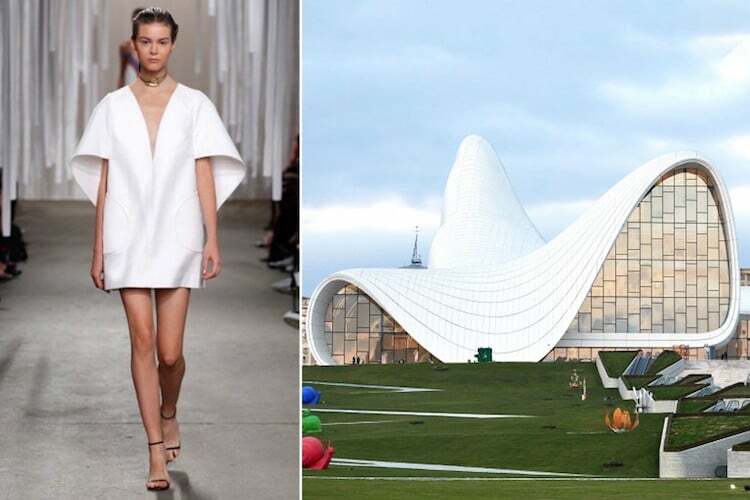 These days, fashion houses like Balenciaga, Marchesa, and Chloé have included pointed architectural nods in their collections. 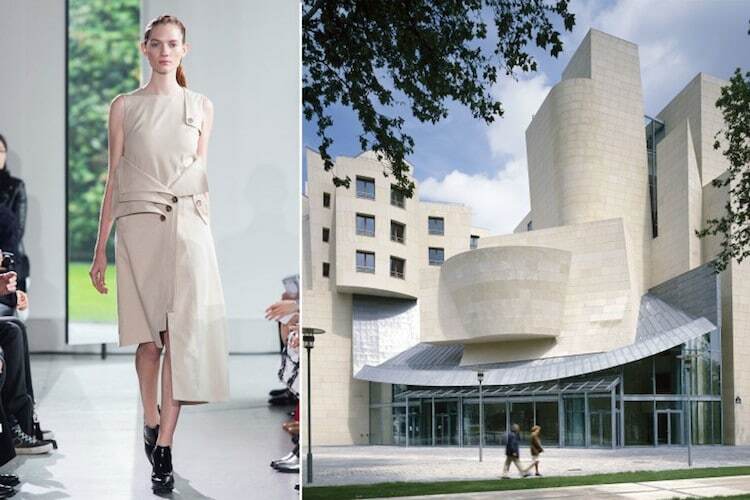 Whether the contemporary work of Frank Gehry for Balenciaga or the delicate details of Arabesque architecture for Chloé, each designer interprets their architectural inspiration to meet their individual style. 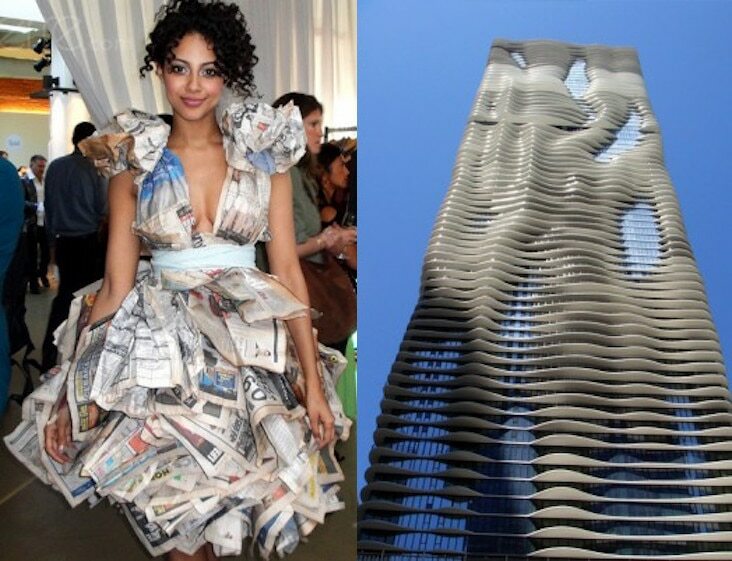 And the admiration can flow both ways. 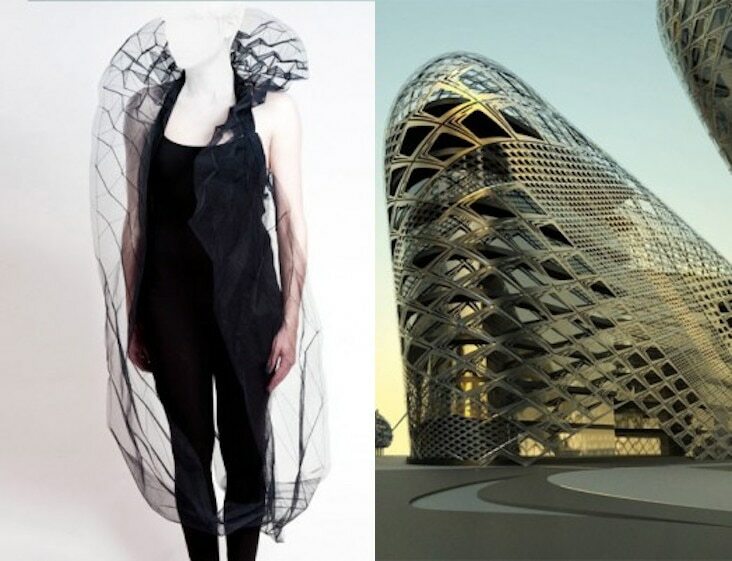 The late Zaha Hadid was known to dabble in the fashion world, bringing elements reminiscent of her own buildings into her designs. 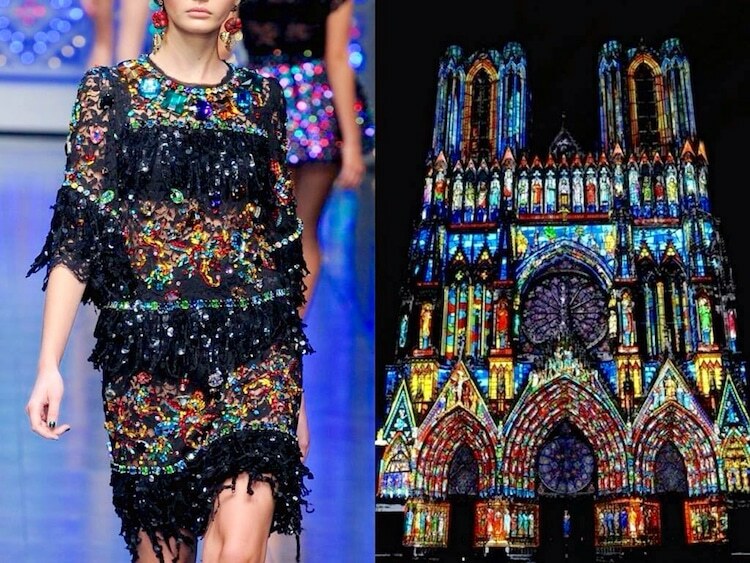 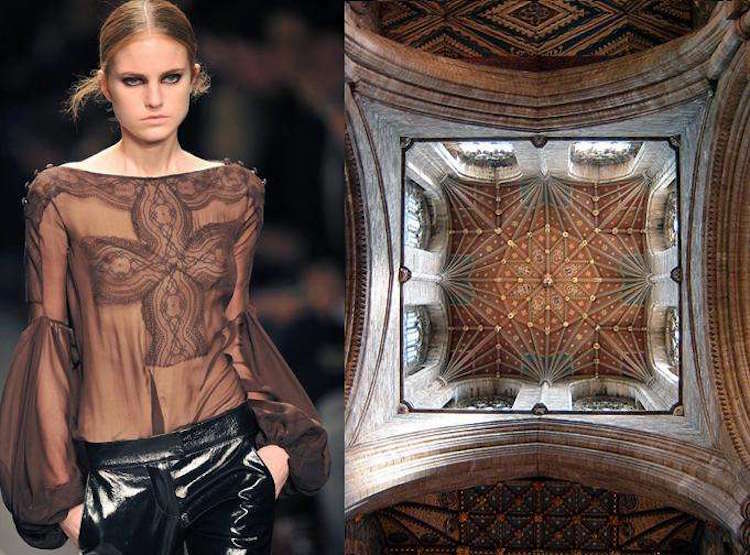 From classic church interiors to cutting-edge skyscrapers, fashion designers often take inspiration from architecture. 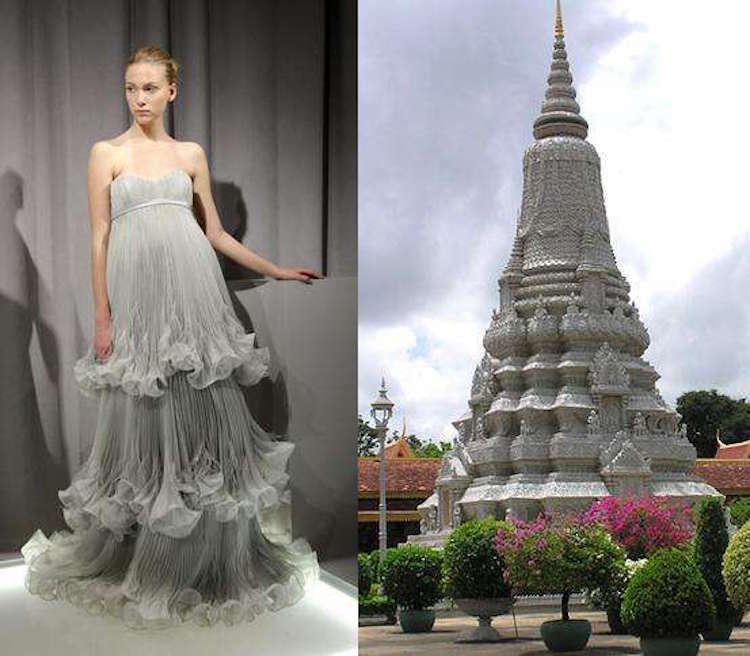 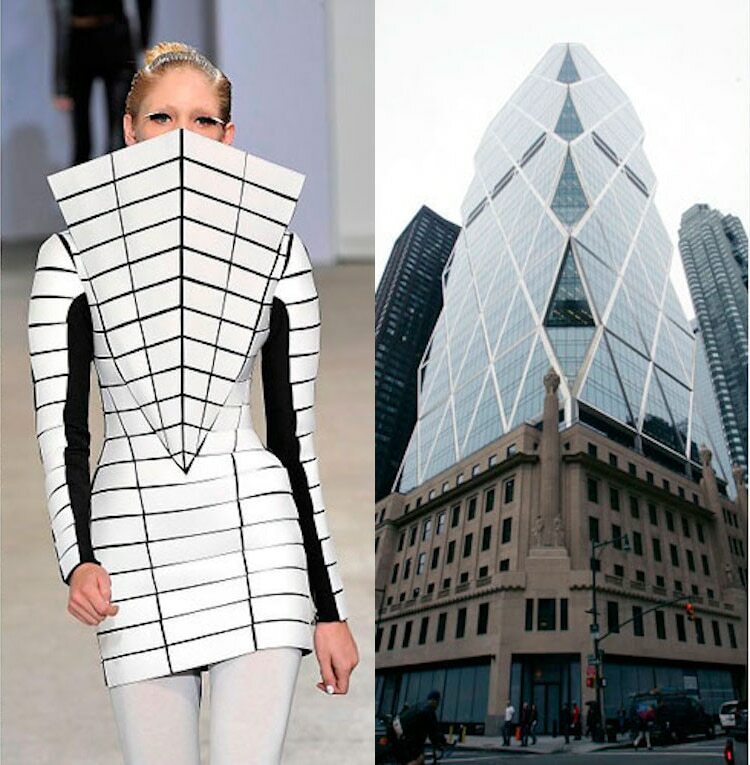 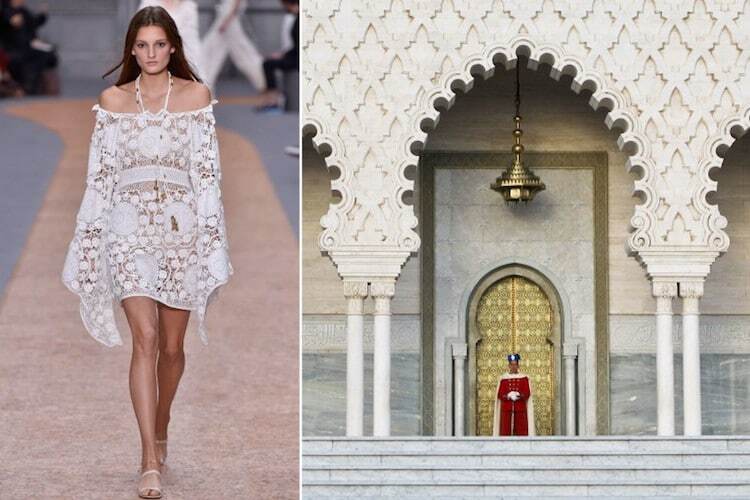 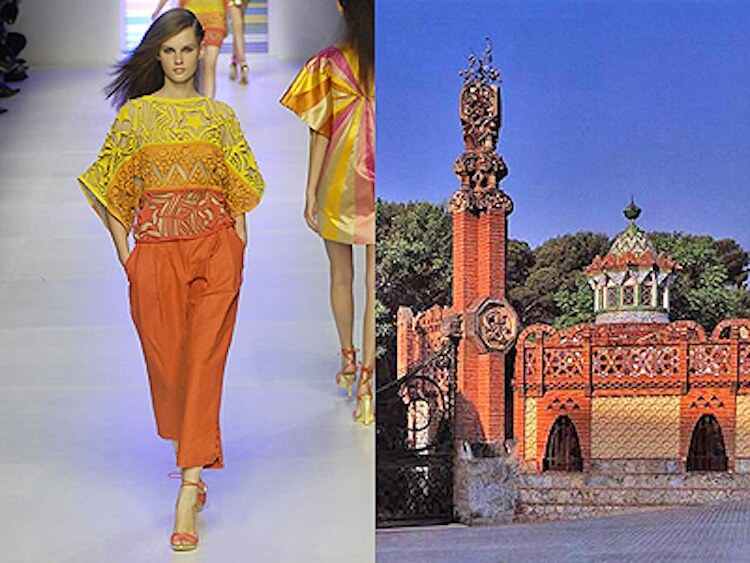 Let’s look at some side-by-side comparisons of fashions and their architectural influences. 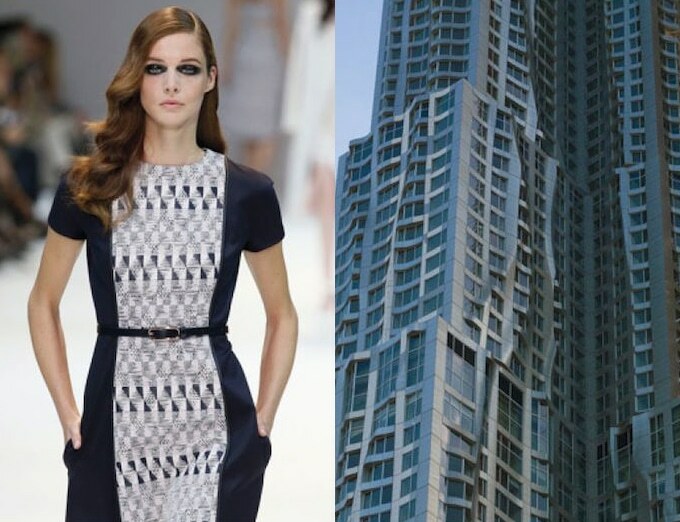 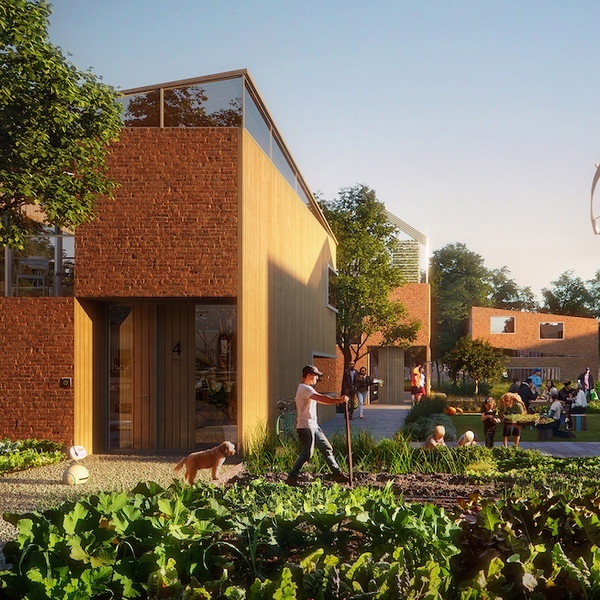 Not always referencing a specific building, designers often incorporate architectural elements, like elongated proportions and strong silhouettes, in their fashions.